Home » Listing » Dinmore Manor Locomotive Ltd.
Not only does Dinmore Manor Locomotive Ltd. own the BR (WR) 7820 Dinmore Manor but they also own three Great Western 2-8-0’s numbers 2874, 3845 nd 3850. 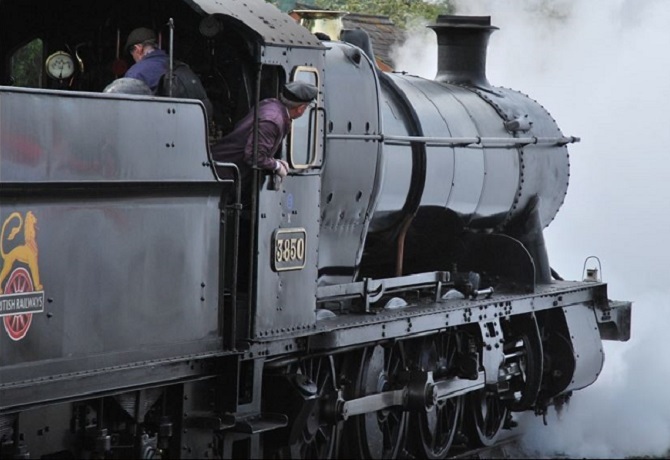 The company also has two other 2-8-0’s at Toddington and they have set up a Trust, registered charity No.1166258 to return No 2874 back to operational condition. This locomotive is the only one of its class that is likely to steam again in it’s “as designed and built form”, namely with internal steam pipes – which would make it unique in working preservation. We estimate that the cost of restoration will be in the region of £500,000 – but will only become clearer as the restoration work progresses and a detailed examination of all the parts is possible. There is much to do and it is a major engineering project so we urgently need your help both financial and physical if possible. If you are able to help then please contact either dh.foster@btinternet.com for financial aid, where we have a range of sponsorship and support options, or martinginger@waitrose.com for volunteering opportunities. No experience necessary, just enthusiasm.